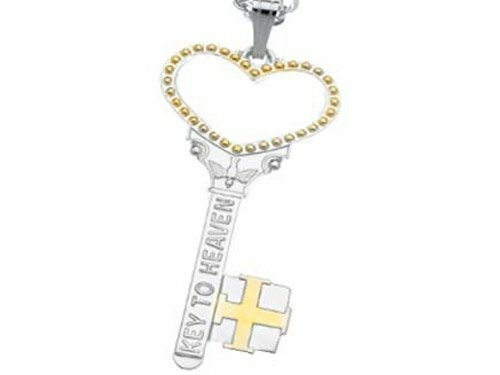 The Key to Heaven pendant reminds us that death unlocks a pathway and is a transition- not the end. Wearing this pendant will help you to remember that nobody enters the doors of Heaven alone. The moment a loved one makes their transition into Heaven, they are greeted by Angels, Pets and the familiar faces of all those who have passed on before them in the most amazing family reunion ever experienced. This pendant symbolizes that we all carry to the Key to Heaven in our hearts and that Heaven is Universal. Whether we are here on Earth learning to unlock our divine potential, or facing the challenges that will unlock new strengths in us, the key is a divine symbol that is meant to remind you that every door opens to give us another part of our divine journey.